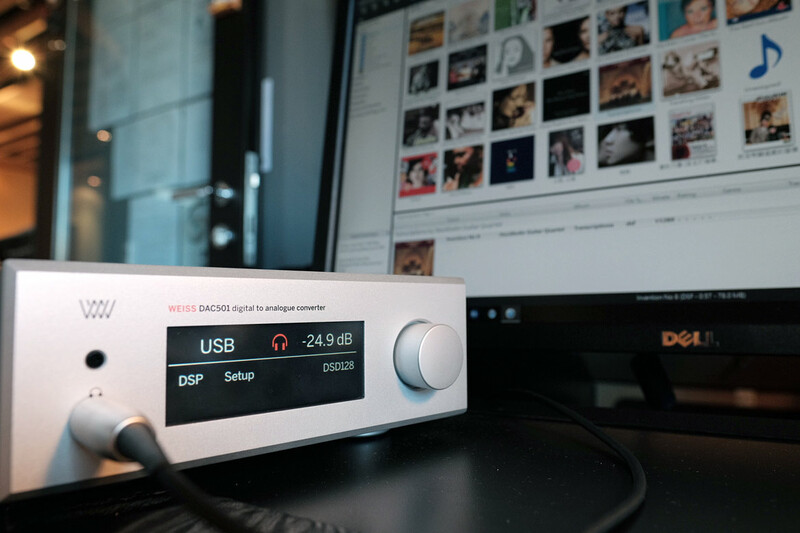 This is a short article regarding Weiss latest generation d/a converter DAC50x (DAC501 and DAC502) DSD playback via Universal Plug and Play UPnP (ethernet connection). However this applies to most UPnP/DLNA renderer. DSD has never been an official format. Most of the DSD files in the market are either ripped by PlayStation 3 3.55 firmware or Bluray ripping method. Recent years there are few DSD128/256/512 sources from specific records companies. DSD ISO is the whole SACD disc image and not a file format. It may includes both stereo and multichannel audio tracks of the SACD disc. DSDIFF (diff/dff) is one DSD file type that has no metadata. In short if you are an audiophile you would like to convert DSDIFF to DSF, otherwise your music server will be very complex without metadata. DSF is the most popular DSD file type that allows embedded metadata and artwork inside the file. 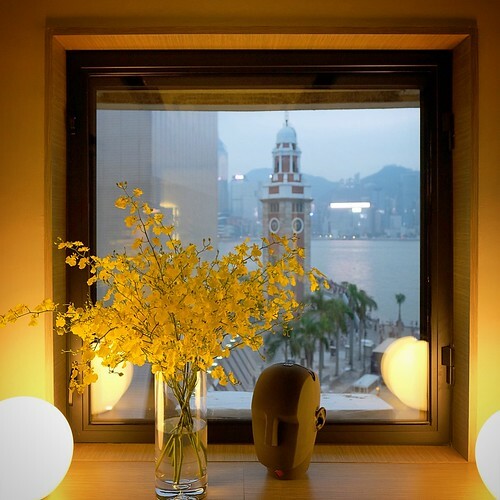 Convert all your DSD ISO DFF to DSF is recommended. Weiss DAC50x comes with well executed Windows 10/8/7 driver includes WASAPI & ASIO 2.2. Apple USB Class 2.0 core audio driver requires no driver installation. Both drivers support bit transparent connection for PCM 352.8kHz and DSD64/DSD128 thru USB DoP (DSD over PCM). User should not worry about supporting sampling rates. Weiss DAC50x input is based on a DSP platform (Weiss DAC50x DSP stays at 40bit floating point @ 195.3kHz). This DSP input platform can adopt any future format. IF you are using NAS, MinimServer is a free UPnP server app can do it easily. 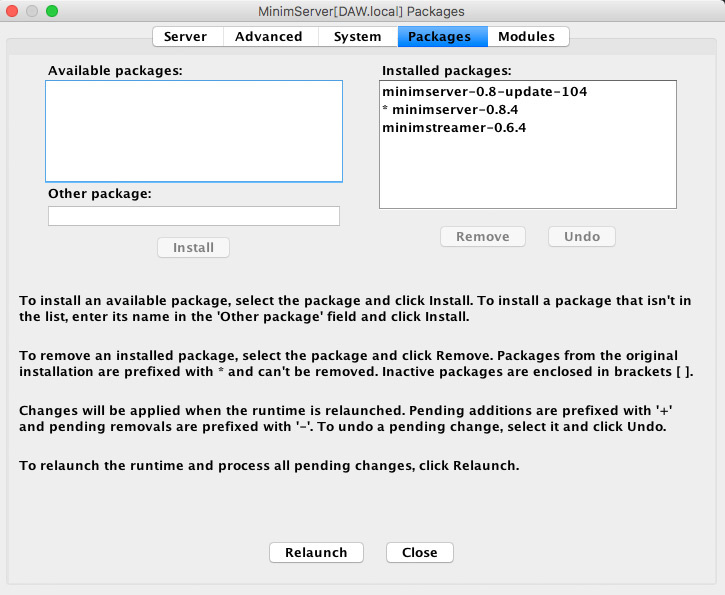 First you need to download and install -> MinimServer. By this method the DSF/DFF is transcode to Weiss DAC50x in bit transparent true DSD domain. DoP (DSD over PCM) IS the standard that most audio manufacturers support DSD transfer and playback. For more information please read this article “DoP Open Standard“. DoP is rather simple via direct USB communication between computer host (server) and DAC. Network playback is getting more popular via UPnP/DLNA standard, DSD through LAN ethernet connection however depends on many variables, mainly by 3 different parties. Since the article is focuses on Weiss DAC50x, the key word is “transcoding”. When you want to stream DSF/DFF files from your NAS or computer to Weiss DAC50x UPnP input, you need transcoding DSF files to DoPWAV. J River MC does this by checked *DSD bitstream* function under DLNA Advance setting. JRiver Media Center MC23 is the software I recommend for DSD library, metadata, artwork managment and playback. It supports both Windows and Mac OS. It works perfectly with Weiss DAC50x (USB – Up to PCM352.8kHz/DSD128) and (UPnP – Up to PCM192kHz/DSD64) inputs. 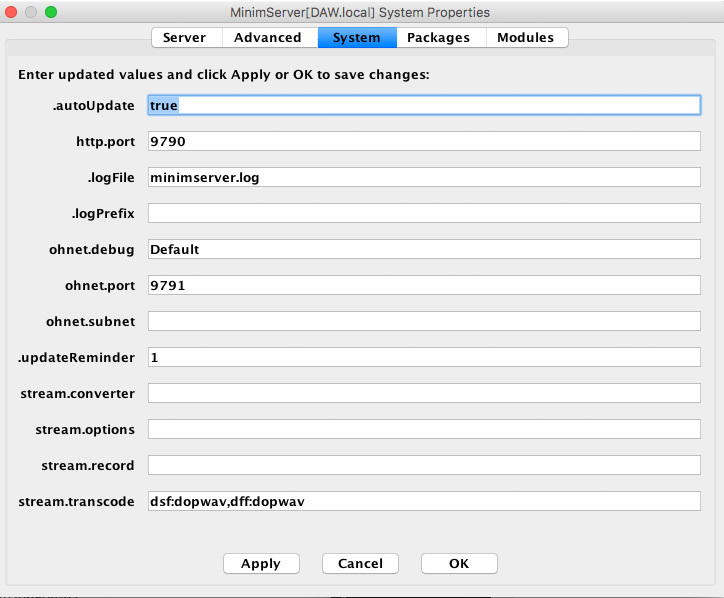 For DSD DLNA streaming, you will need to enable JRiver MC UPnP/DLNA following setting. DoPE is a 44-byte WAV header followed by the raw DSD data. By this method, the server/app will transfer DSD64 file like a normal 24bit/176.4kHz WAV (DoPWAV) to DLNA renderer(DAC50x). If the DLNA renderer support DSD DoP, it will display and decode as a bit transparent DSD file. Otherwise white noises will be output.